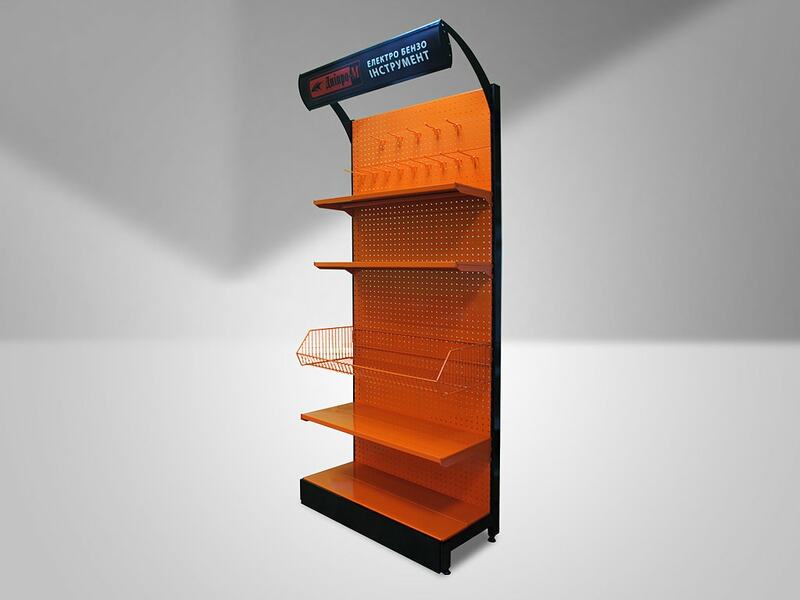 Solution: Making a brand rack based on the RAF series, using company colors (orange and black). Such a solution made it possible to highlight the products in the store aisle among the bland white shelves. The advantages of this method include the fact that the cost of producing a color rack does not differ from a similar white one, while it attracts more of potential consumers’ attention by several fold.